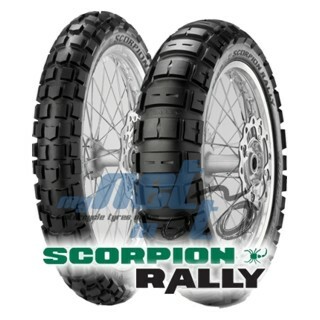 For desert racing and rallies - An innovative manufacturing process capable of producing a compound very resistant, and with high overall performance even after intensive use. Front tyre blocks optimised for better directional stability at high speeds. High traction even on the most demanding surfaces thanks to the specific geometry and to the layout of the blocks on the rear tyre. Innovative carcass structure capable of supporting the bike's high speeds whilst ensuring high resistance to punctures.